Blood work can provide detailed insight into your overall health and your risk of chronic diseases. At Clinica tu Salud in Irving, Texas, Dr. Jaxel Lopez-Sepulveda offers an onsite state-of-the-art laboratory for your convenience and faster results. Dr. Lopez-Sepulveda can assess your health and devise a customized treatment plan to improve your wellness. 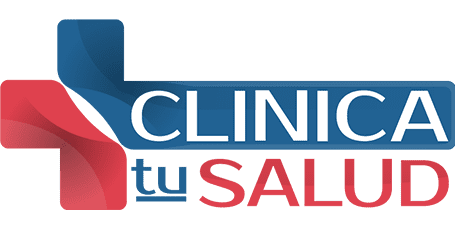 For quality and attentive care, visit Clinica tu Salud. Call or schedule an appointment online today. Dr. Lopez-Sepulveda might also recommend a complete blood count to check if a treatment is working or to monitor a preexisting health condition. What can I expect during a blood test? Most blood tests involve a small sample of blood that’s drawn from your arm with a needle, usually at the bend in your elbow. While many people fear needles, the needle is small and the process is quick. The staff at Clinica tu Salud ensure you’re as comfortable as possible. The blood work is then analyzed at the on-site lab to give you faster and more accurate results. What blood work can I get when I visit my primary care doctor? Dr. Lopez-Sepulveda might also recommend a comprehensive metabolic panel or CMP. This series of blood tests show your metabolism, how your liver and kidneys are working, your blood sugar and electrolyte levels, and how much protein is in your blood. What are the benefits of blood work for preventive care? General blood work can reveal many important factors about your health. Through blood tests, Dr. Lopez-Sepulveda can identify inflammatory markers and obtain an overall picture of your health, while assessing your risk for certain chronic diseases. Widespread inflammation that shows up on an inflammatory marker test can indicate an underlying health problem, such as an autoimmune disease. Learn more about blood work and find out your risks and the state of your health. Clinica tu Salud offers an on-site laboratory for your convenience. Call the office or book your appointment online.